Burton Bradstock has scooped a prestigious win in the Calor Gas Village of the Year awards for its use of Information Technology. 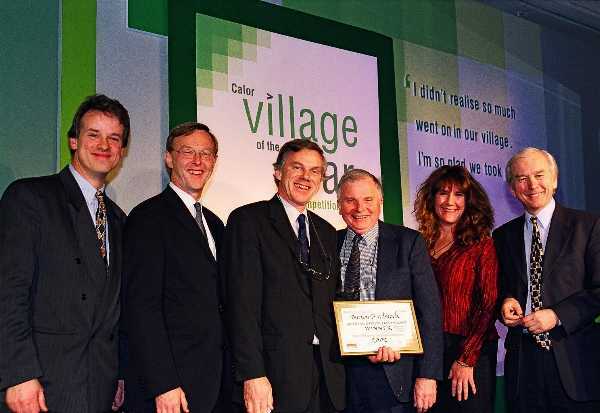 The village came first in the IT category for the Southern and South East Region, one of six regions across England and Wales that were set up for the competition. "Burton Bradstock won on the strength of its website which is easily navigable and has useful links to many village groups. It was also praised for its proactive approach to educating villagers about IT, having installed an Internet computer in the village reading room and organized several training courses for villagers. The village is also now benefiting from Internet connections in the village library."